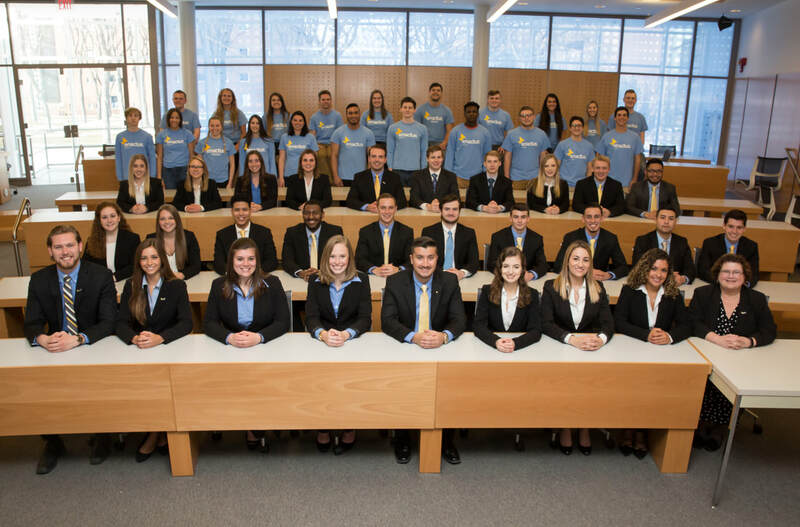 ​Fredonia Enactus is led by an Executive Team consisting of a CEO, Chief Operating Officer, VP of Talent, and Chief Financial Officer. They are selected based on the strategic needs of Enactus and their talents. Dr. Mac serves as the adviser to the team and works closely with the Executives and VP Council. In addition to the Executives, the team relies on a VP Council to formulate strategy, move projects forward, and meet the goals of the team. Fredonia Enactus projects are grouped into Divisions. Each Division has a unique mission focused on making a social, environmental or economic impact. The Divisions are headed by VPs. Each Division may have multiple projects that align with its mission. Divisions are the core our work. In addition to Division VPs, there are VPs of Storytelling (PR, Script, etc.) and Communication (Social Media and Web).